Bring on the primitive love! 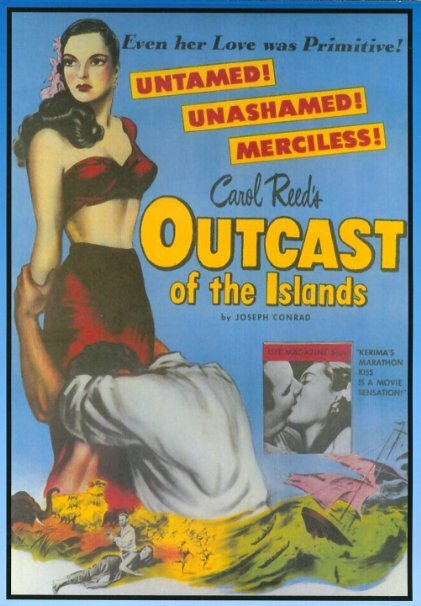 OUTCAST OF THE ISLANDS is Joseph Conrad giving you another excuse to cancel your vacation to the tropics, in this very well done 1951 effort based on his book. Like Lord Jim and Heart of Darkness, the tone is dead-end desperation, as a morally irresponsible cad repays the good will of his employer and benefactors with theft and deceit, acts of contempt that remove him from Singapore, first to a backwater Malaysian village, finally to a position he hadn’t figured on. 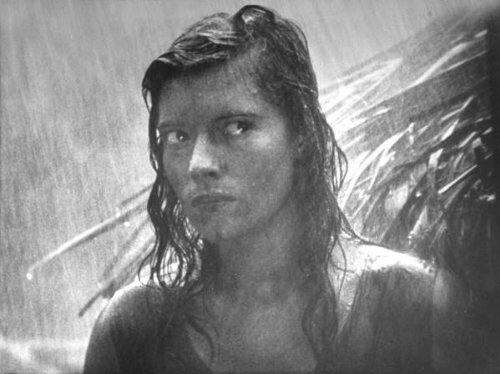 Directed and produced by Carol Reed, shot in Sri Lanka (then Ceylon)’; there is plenty of atmosphere, fine lensing from John Wilcox and the 102 minutes are adroitly edited. 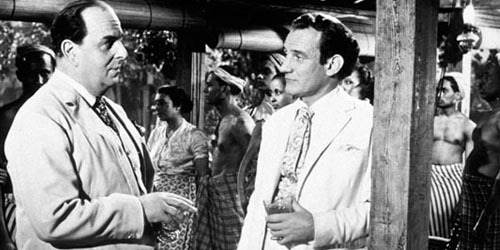 Thesping is faultless—Trevor Howard as the bounder, Ralph Richardson as the main fall-guy, and Robert Morley as another outraged victim. 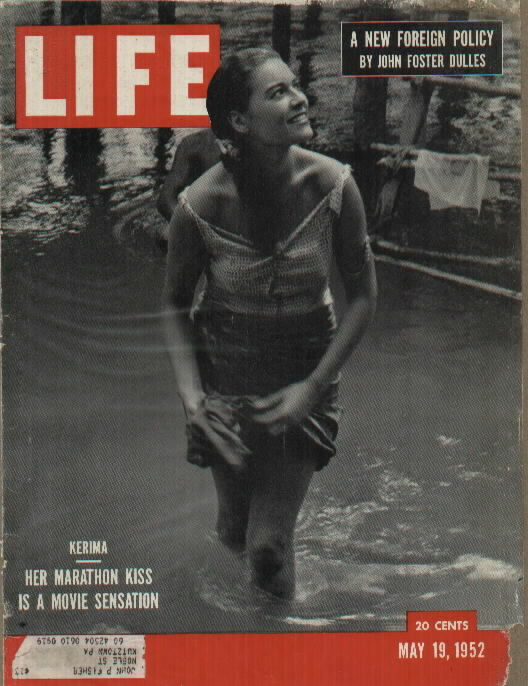 The native girl who drives Howard to even greater excess is Kerima. Hailing from Algeria, in her debut (and main claim to fame) she makes herself as forbidding as she is tempting. Along for this trip to Conradia are Wendy Hiller, George Coulouris and Wilfrid Hyde-White.